Yes, ofc. This should be number 1 on the list. 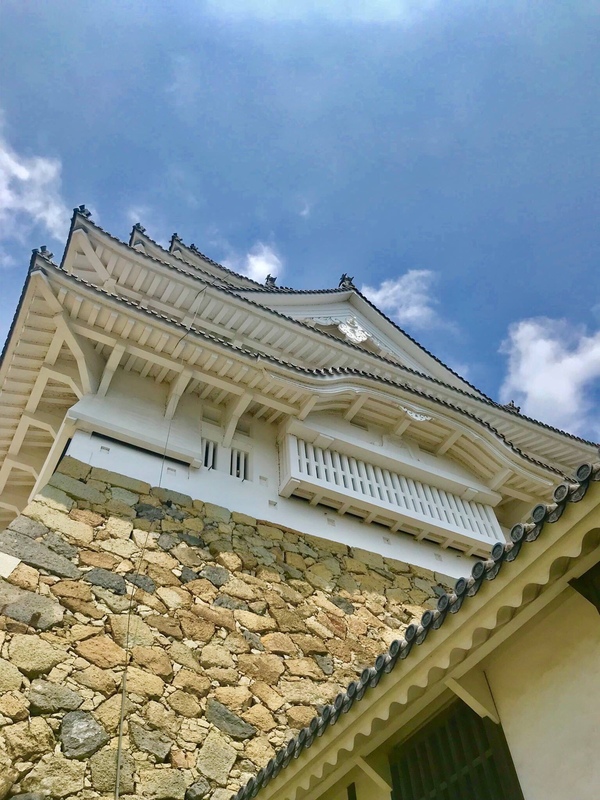 Himeji Castle is known as “White Egret Castle” or “White Heron Castle” because of its brilliant white exterior and resemblance to a bird taking its flight. 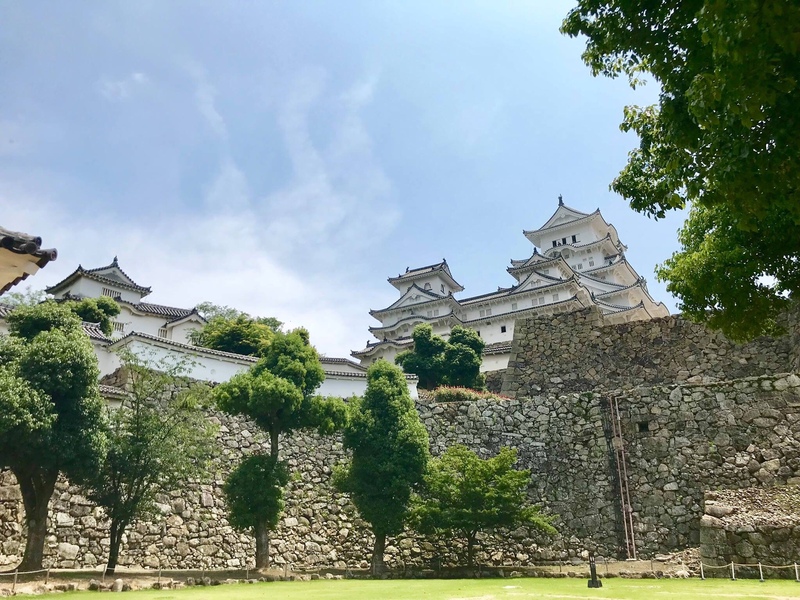 This castle is by far the most beautiful one I’ve ever seen which undoubtedly the reason to how it was recognized as one of UNESCO’s World Heritage Sites in 1993. 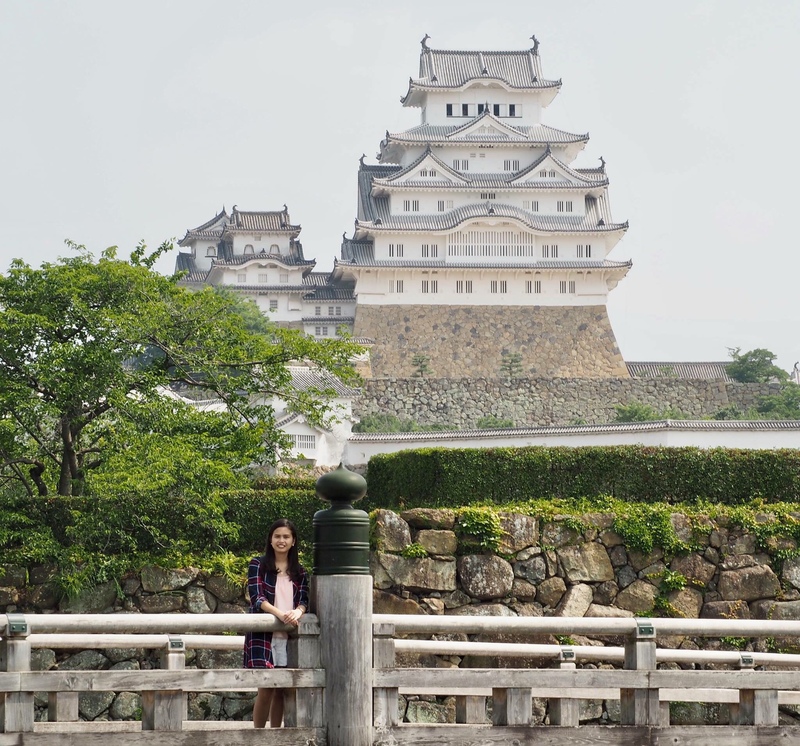 Aside from being globally acknowledged, this splendid castle is a national treasure that has been protected by the government and its citizens all through the years. 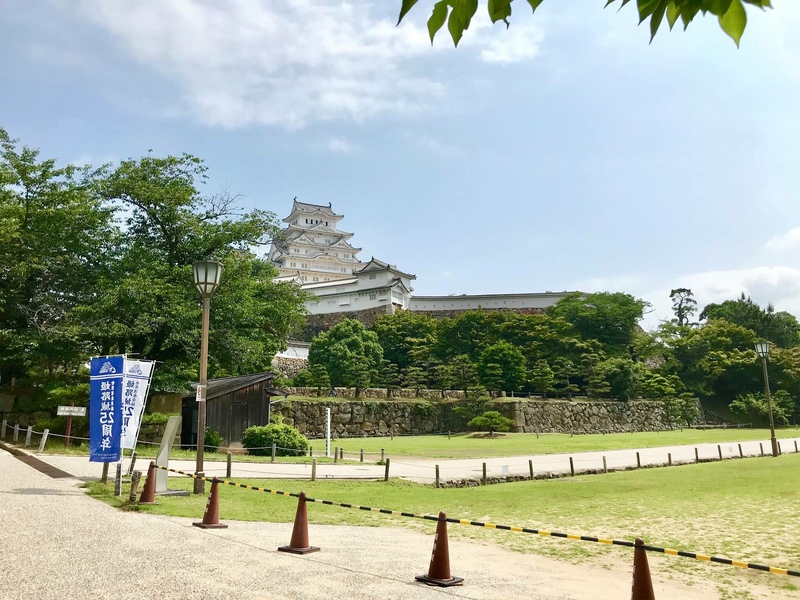 It is one of the country’s 12 original castles but unlike the others, Himeji Castle was never destroyed by war, earthquake or fire. 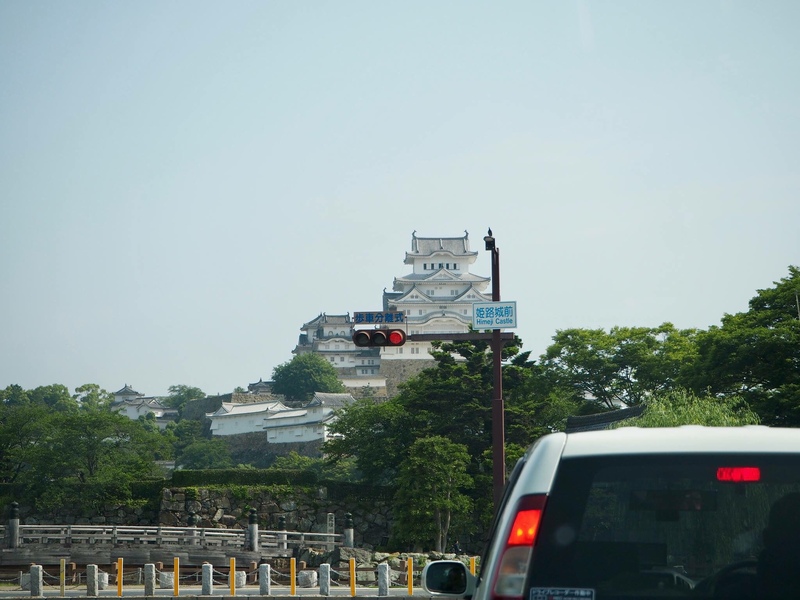 Public Transpo: The Castle can be reached from the station’s north exit in a 15-20 in walk or 5 mins ride by bus (100 yen one-way). Car: Click this LINK. There are paid parkings around the castle. Ours was 200 yen per hour. 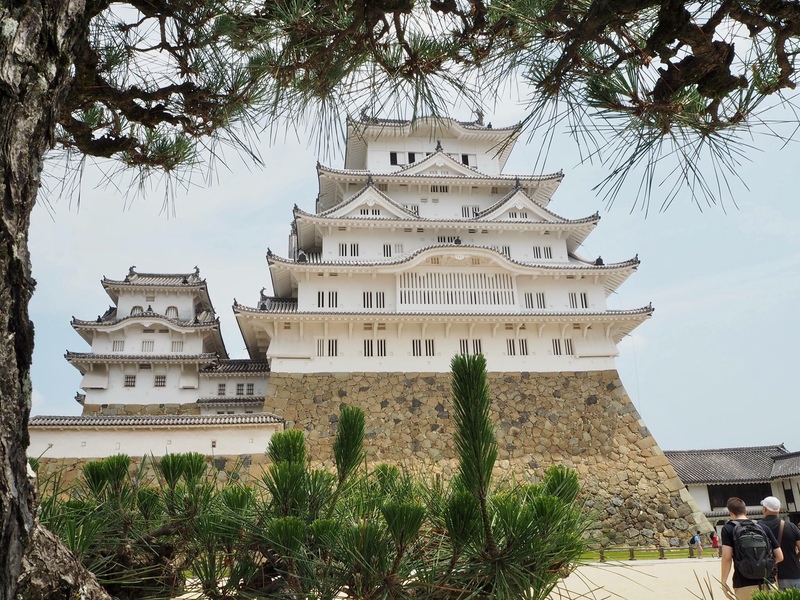 The Castle is indeed a beauty all throughout the year but it’s highly popular during cherry blossom season. 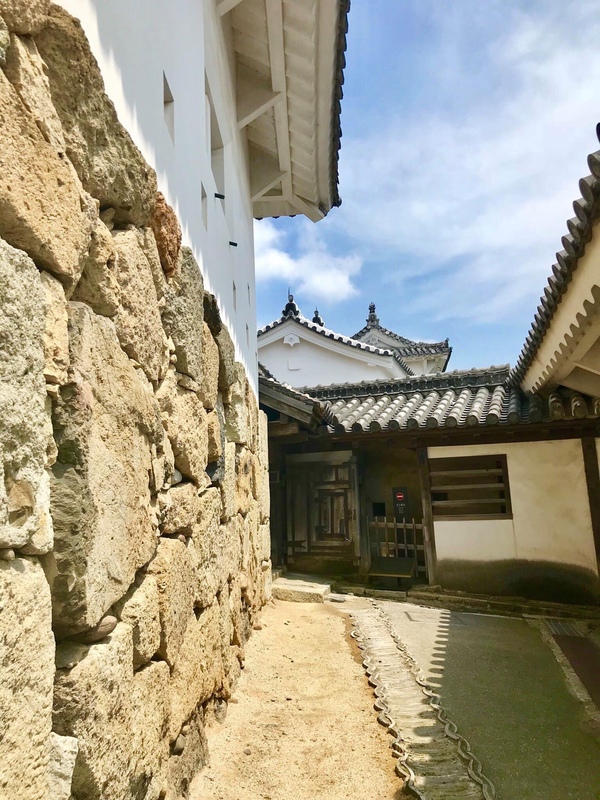 Just be aware that during this time, visitors may encounter waiting times and the numbers of visitors allowed to enter the main keep may be limited by the use of numbered tickets. 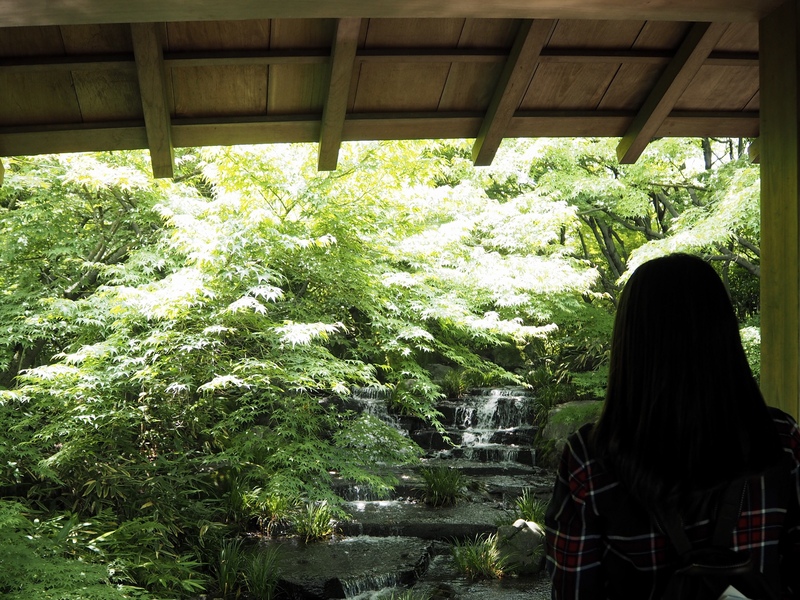 You may purchase a ticket for both the castle and garden, saving you Jpy260. 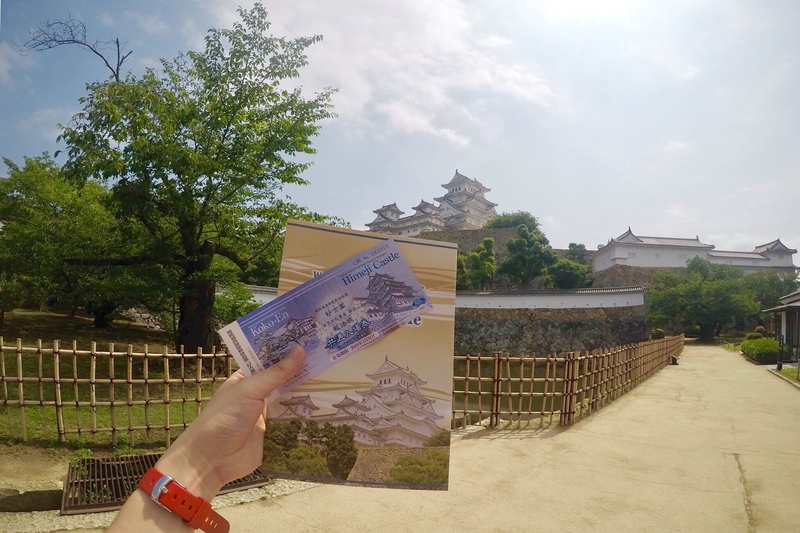 Get information from leaflets at the gate as you enter the castle. They are in different languages (even Tagalog is available). 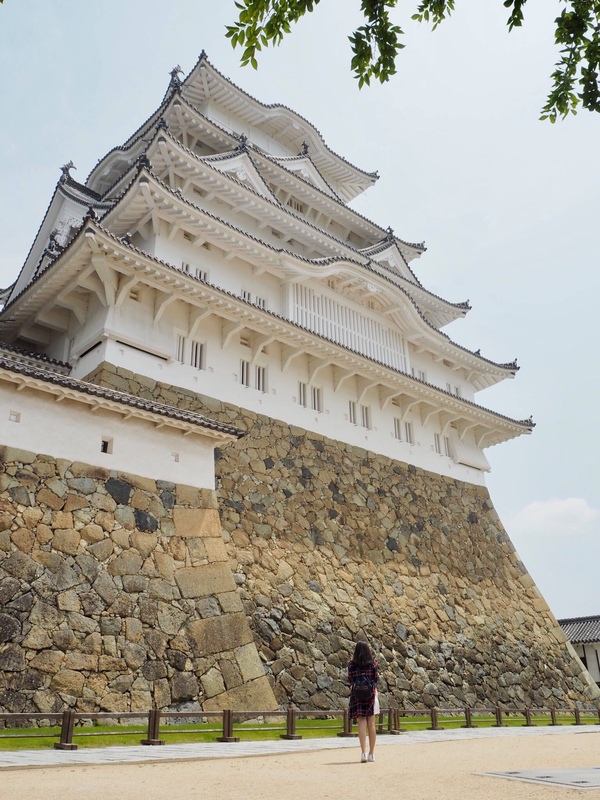 It gets easier to roam around and know some facts about the castle if you have one. 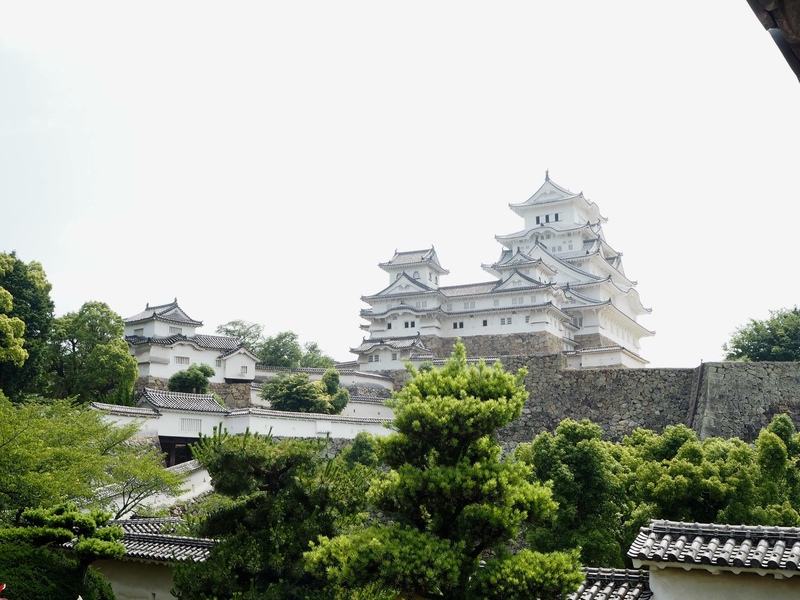 Buy souvenirs and sweets at stores around but outside the castle. 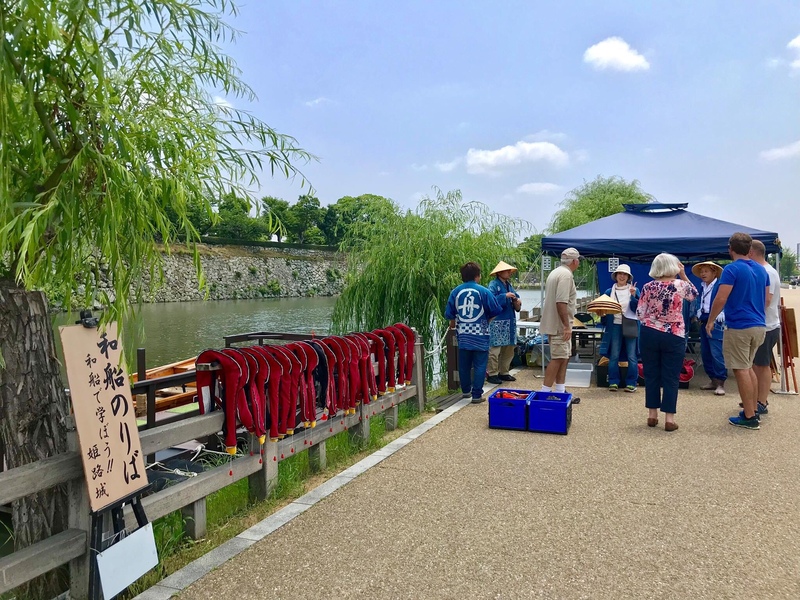 Some prices of these goodies are much cheaper outside, letting you save some yen especially when you are buying in bulk. This should be a warning instead of tip. STRICTLY NO FLYING OF DRONES. 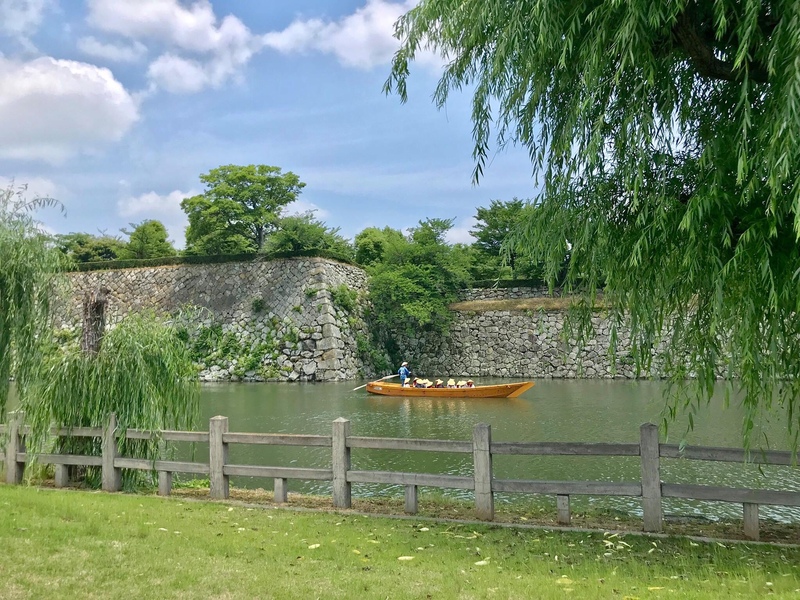 You can also ride a boat to experience getting around the castle’s walls (over water) for 1,000 yen. 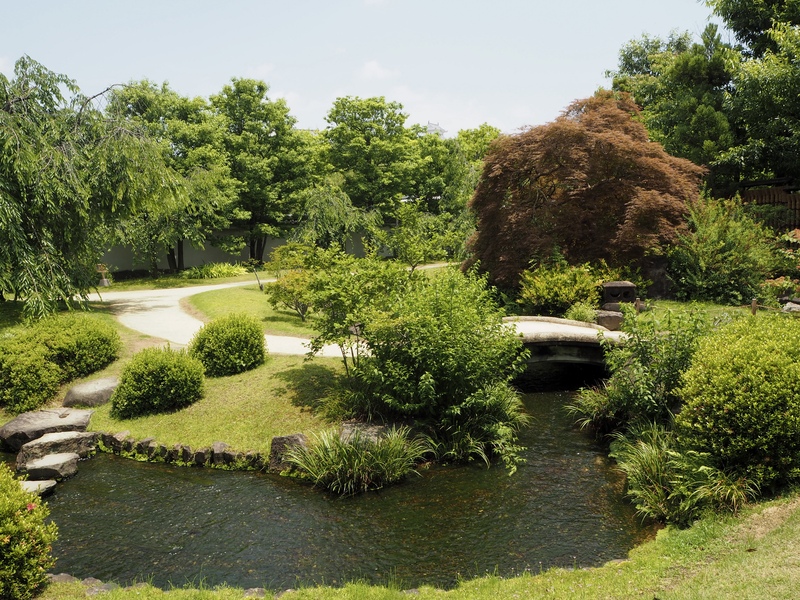 Located just 3 to 5 mins walk away from Himeji Castle, Koko-en Garden is also worth a visit. 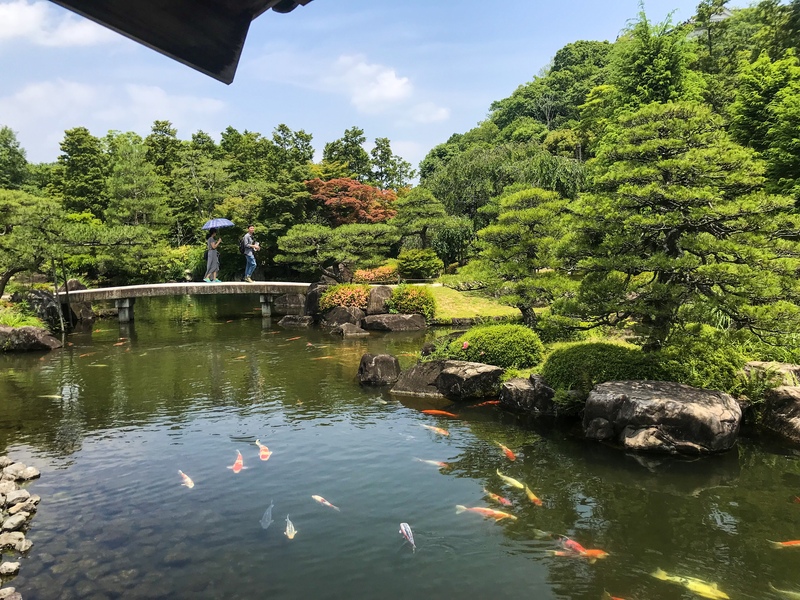 It is a Japanese garden constructed in 1992 to commemorate the 100th anniversary of the establishment of the Himeji municipality. 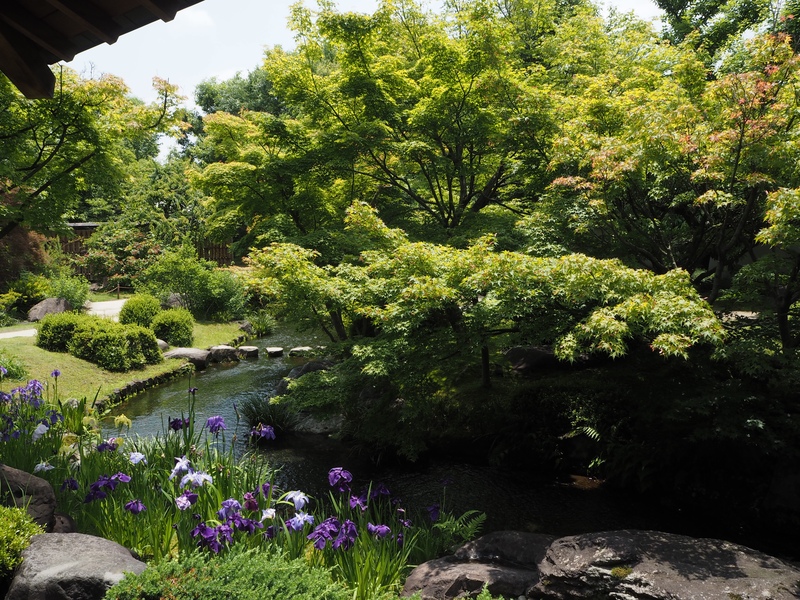 The Garden has 9 different gardens and is about 3.5 hectares. 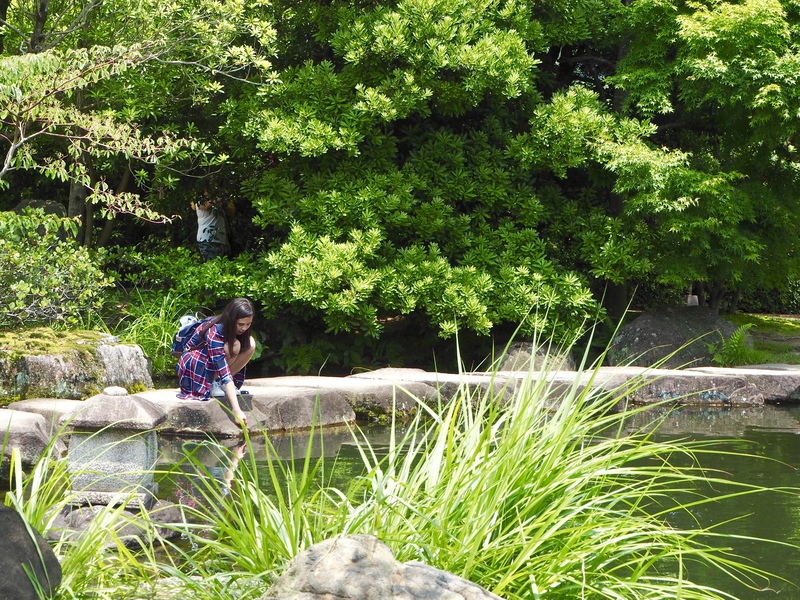 There are many resting spots so don’t worry if you’ll get tired on walking. 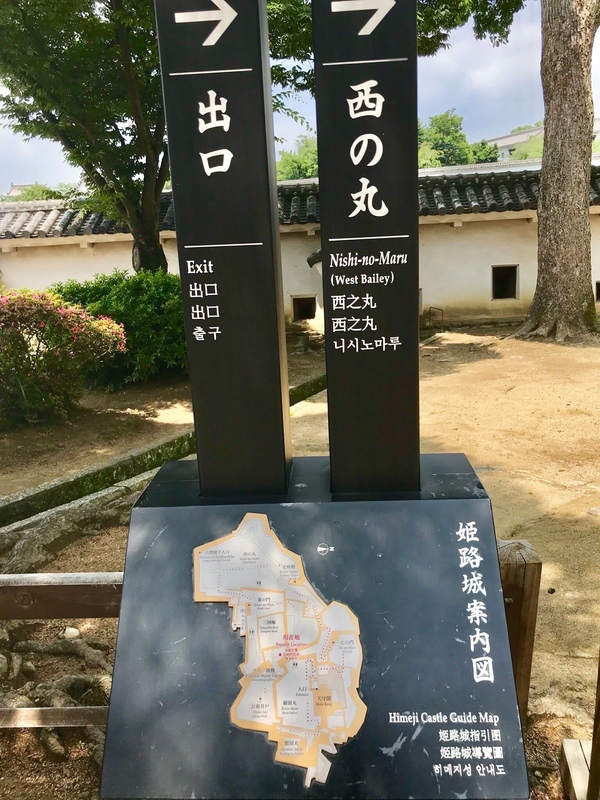 Public Transpo: The Castle and Garden can be reached from the station’s north exit in a 15-20 in walk or 5 mins ride by bus (100 yen one-way). Car: Click this LINK. There are paid parkings around the castle. Ours was 200 yen per hour. 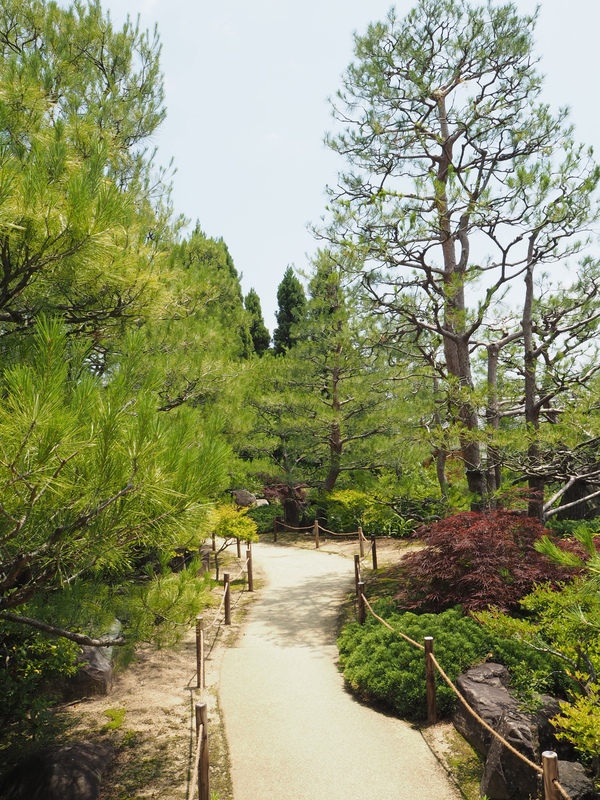 After you visit the Castle, head on to the Garden before getting back to your car. ACTUAL TIME VISITED: 11:15 - 12:00. 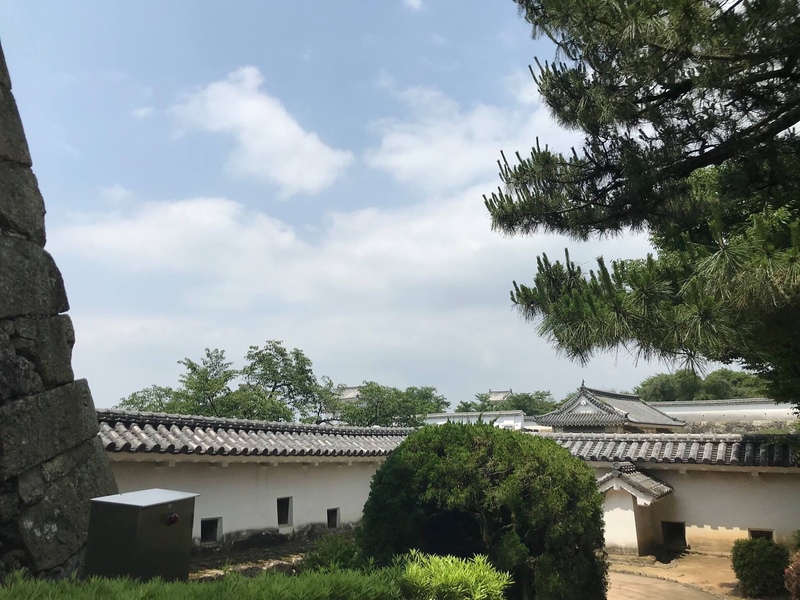 We dined for our lunch at Royal Host, a 15-min walk from the Garden. 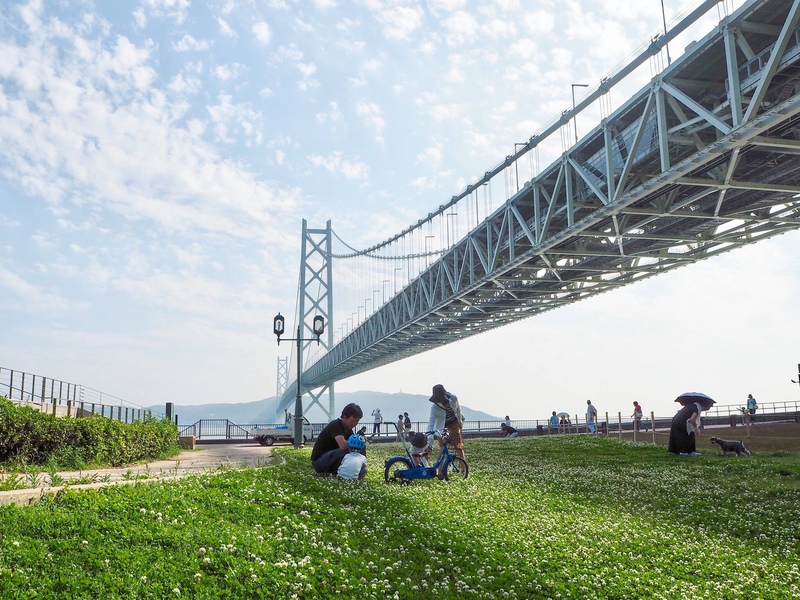 Known also as the “Pearl Bridge”, Akashi-Kaikyo Bridge is the world’s longest suspension bridge with a length of 12,831 feet. 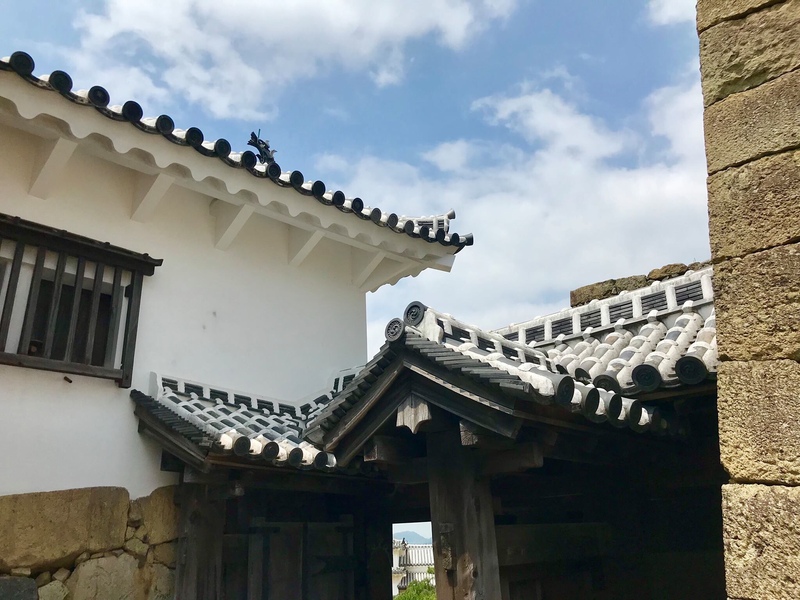 It serves as a link between the city of Kobe and Awaji Island. This bridge was started in 1988 and took 10 years to complete. 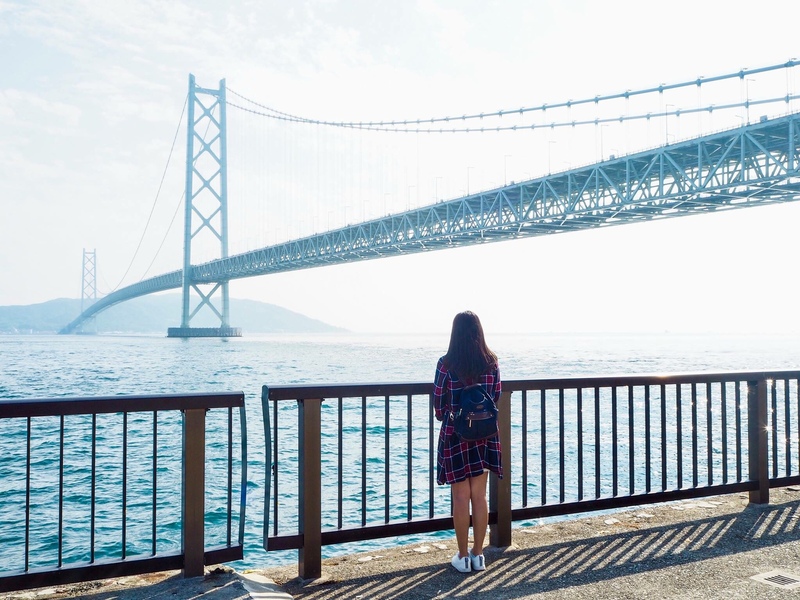 Aside from being the longest, this bridge also holds the record of being the strongest and expensive one in the world. 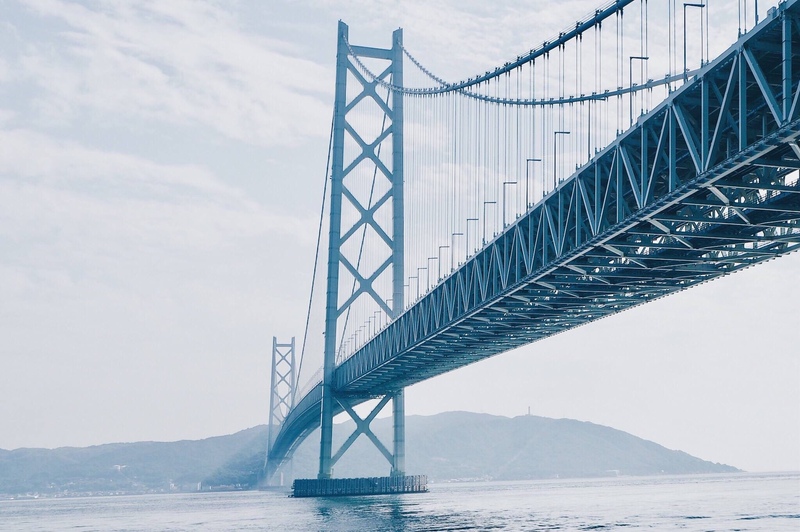 Approximately 2M workers had worked for those 10 years to construct this bridge. 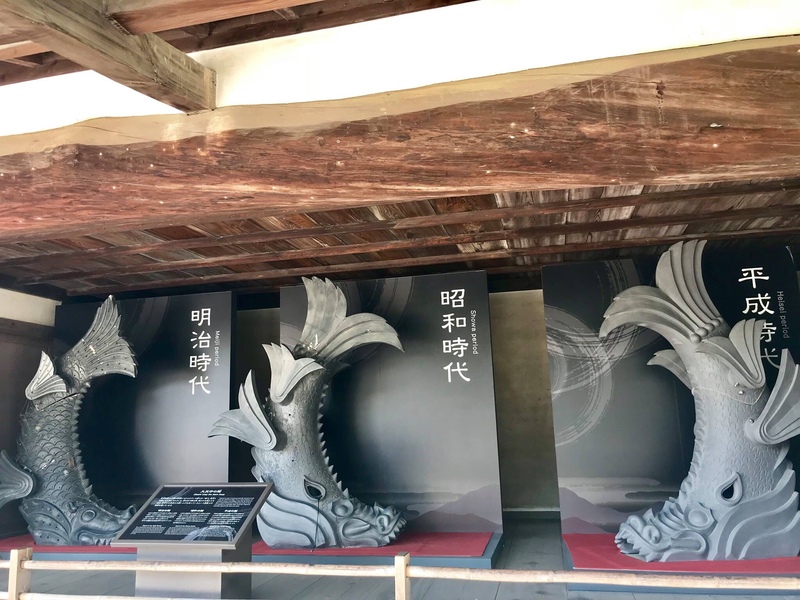 It has been designed to withstand earthquakes and harsh sea condition that may strike the cities. 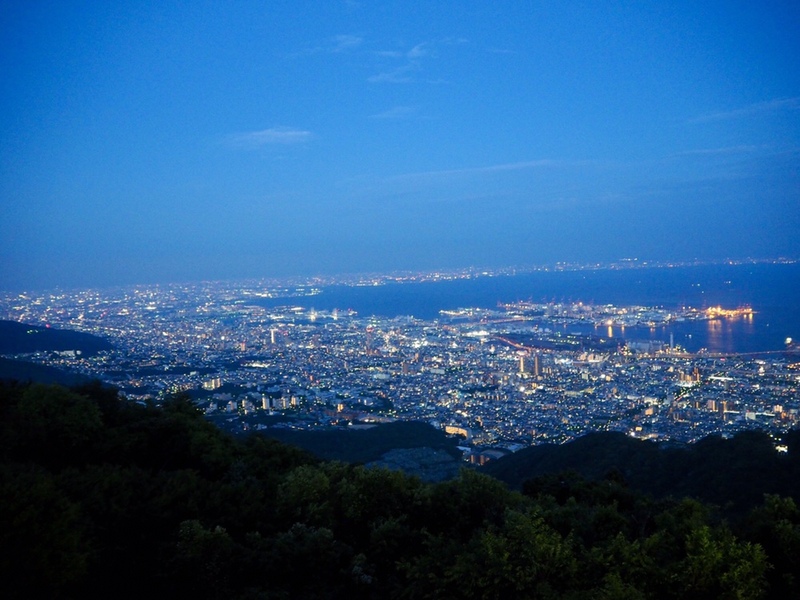 The Kobe Earthquake in 1995 was the evidence of its strength. 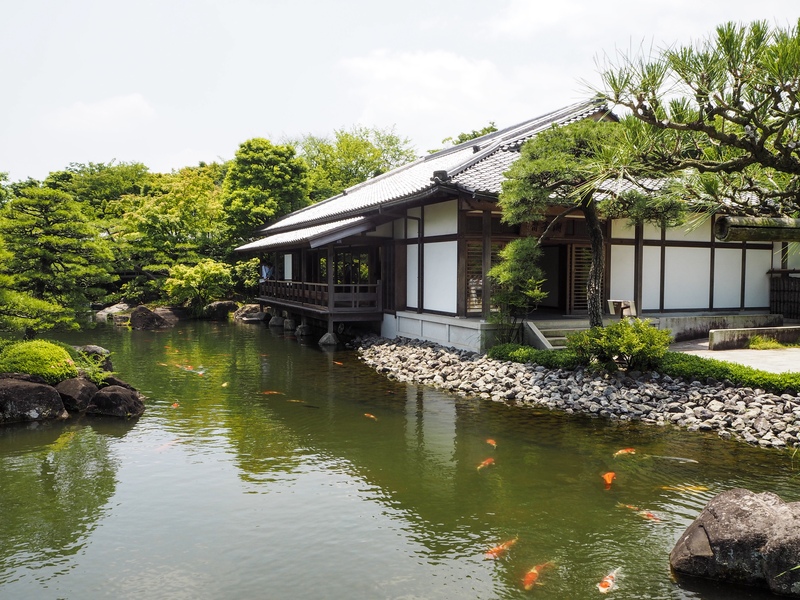 One of the gateways and viewing point to see this grandiose is the Maiko Park. 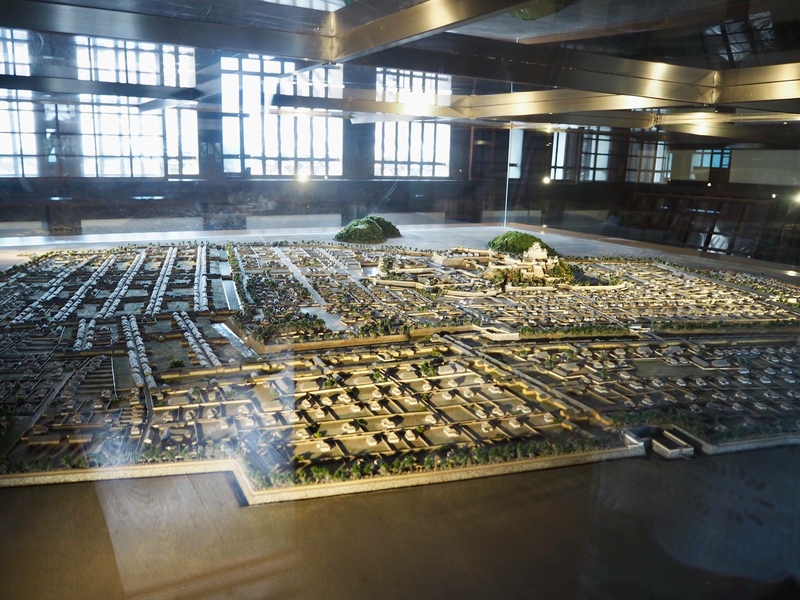 The Park highlights Maiko Marine Promenade, Sun Yat-sen Memorial Hall and Dream Lens. 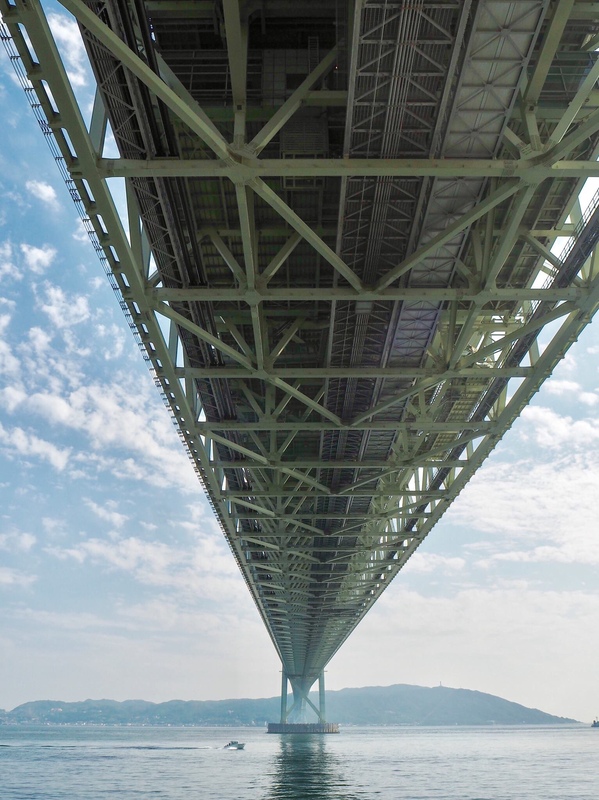 It’s a great spot to getting up-close and personal with the gigantic bridge. 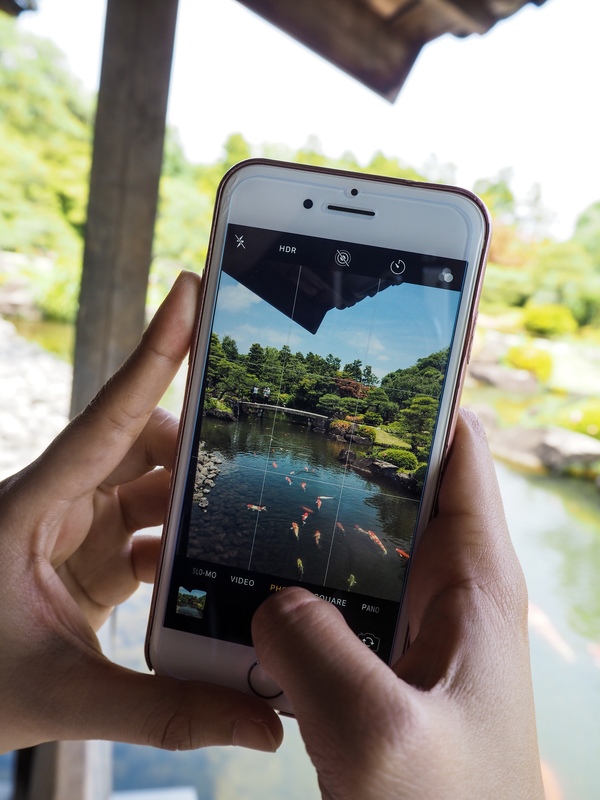 The location is known for being a lovely sunset spot. 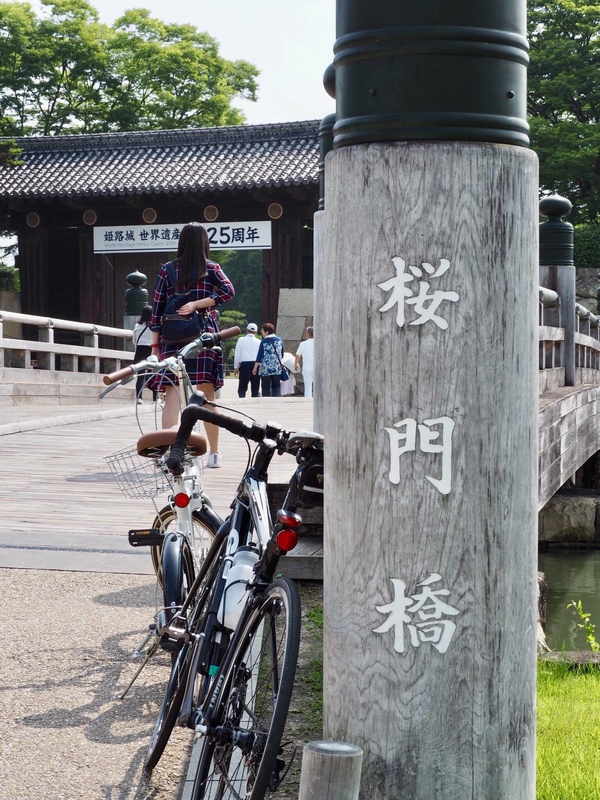 Fee: FREE; Maiko Promenade’s is 680 yen. 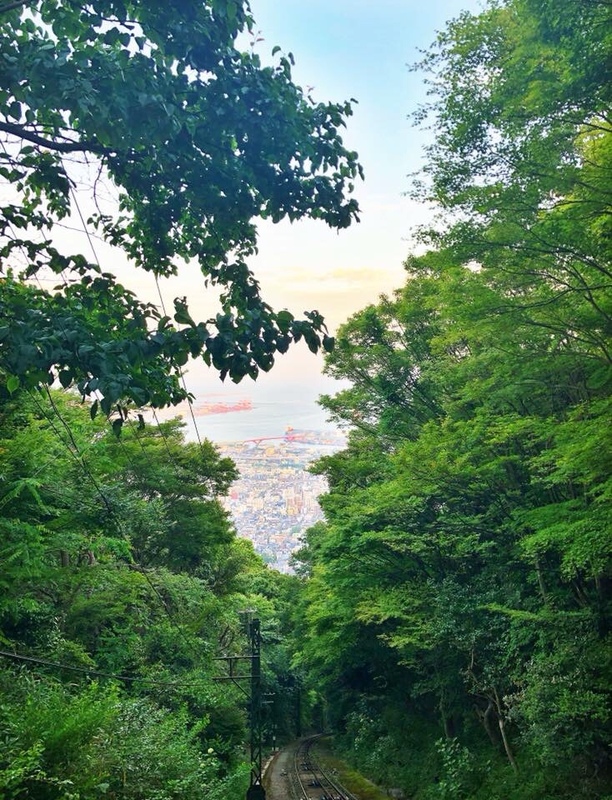 Public Transpo: Just a 5-min walk from Maiko Station on JR Kobe Line. Car: Click this LINK. 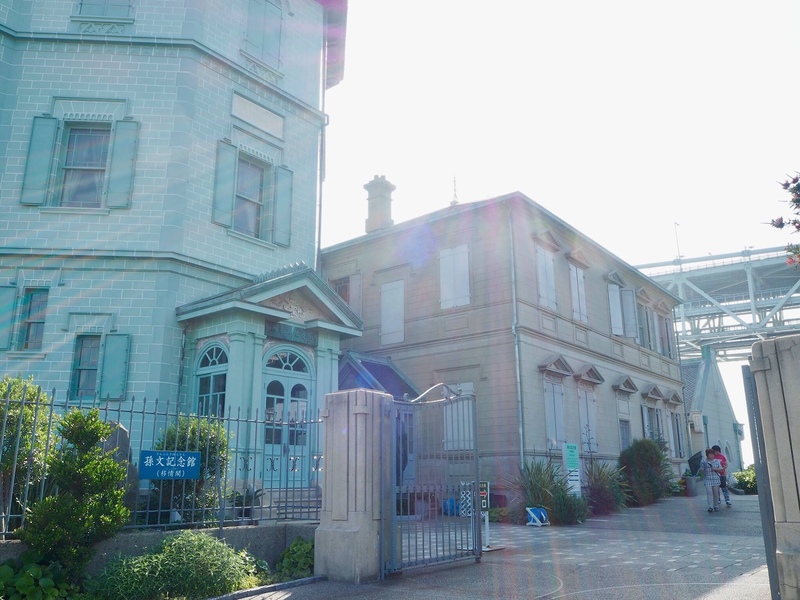 There are paid parking at P1 and P2 for 200 yen per hour. ACTUAL TIME VISITED: 14:30 – 15:20. 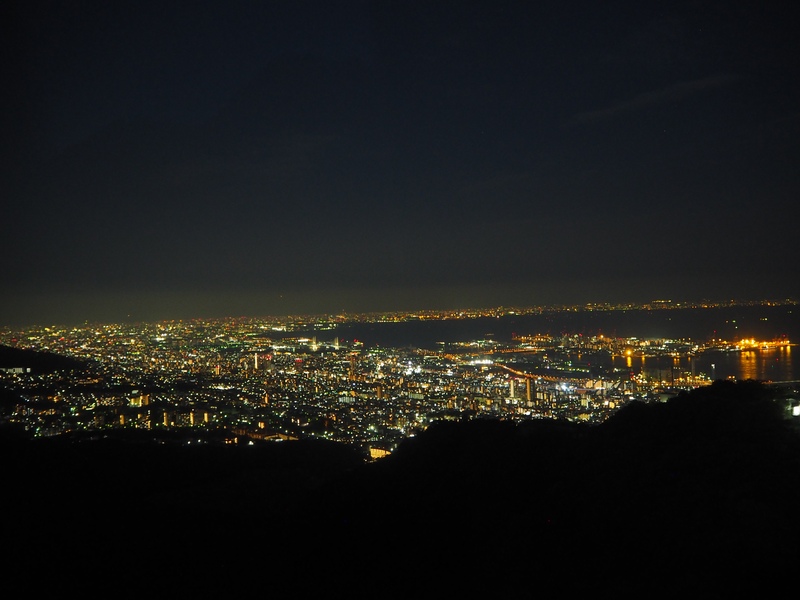 A great and romantic spot to see the stunning panoramic views of Kobe and Osaka, Mt. 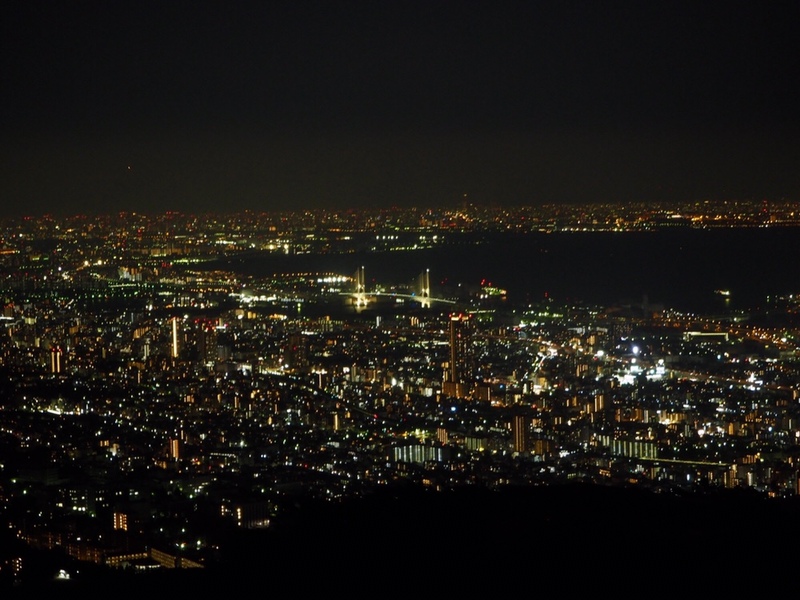 Maya is where you should be to witness the 10 Million Dollar Night View and one of the top 3 night views of Japan (with Mt. 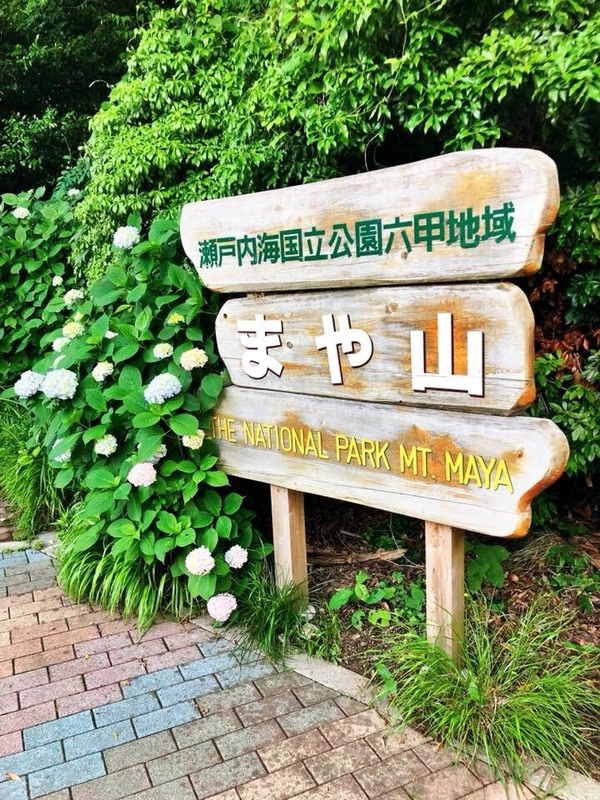 Inasa in Nagasaki & Mt. Hakodate in Hokkaido). 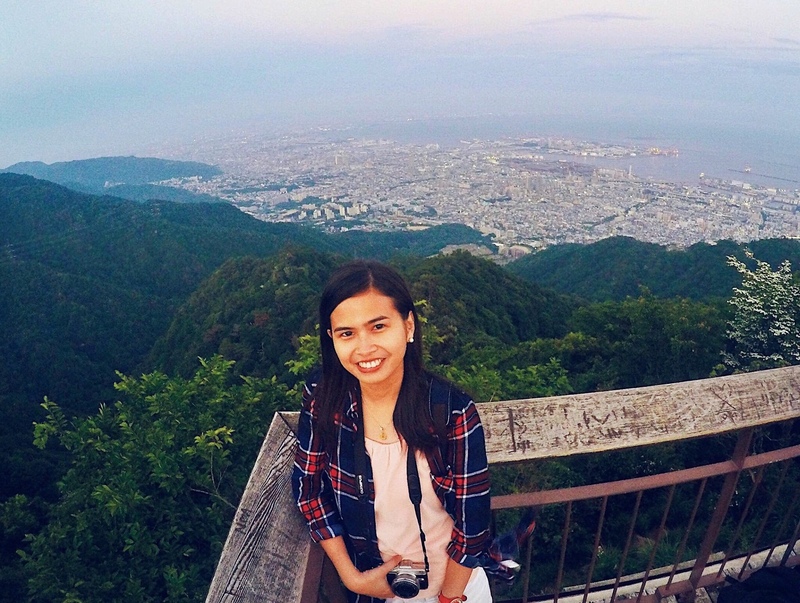 Head on to Kikuseidai viewing platform to capture this spectacular view. 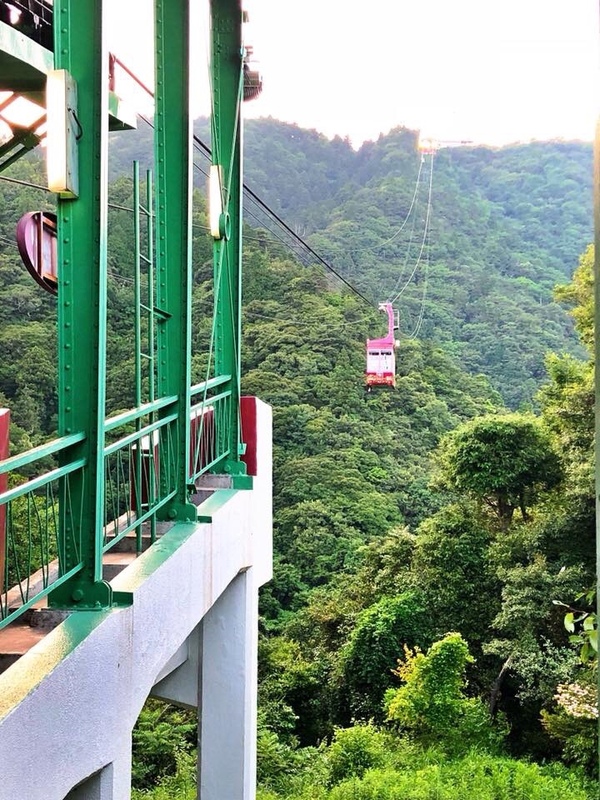 Hours: The viewing platform is open 24 hours but Maya Ropeway and cable car service are from 10:00 – 20:50 only. 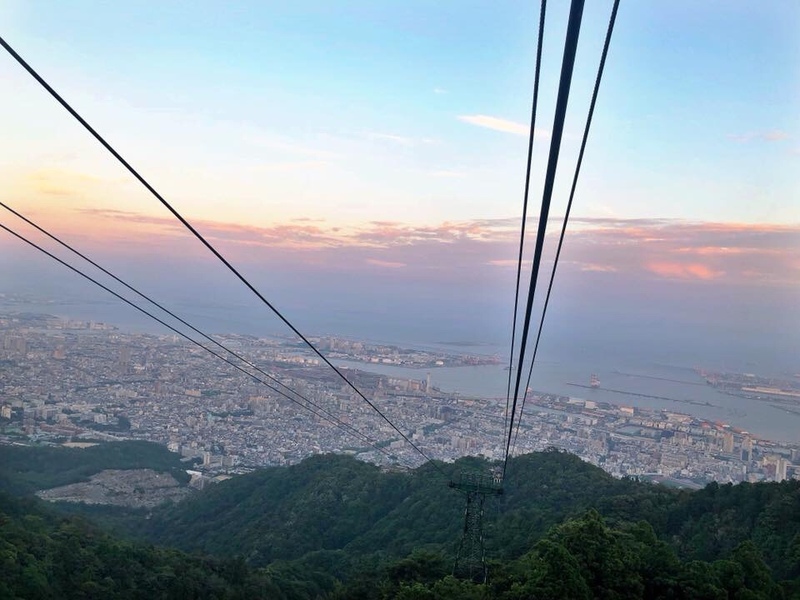 Fee: FREE; Cable Car is priced at 1,540 yen roundtrip. You may purchase a roundtrip ticket at once for convenience. 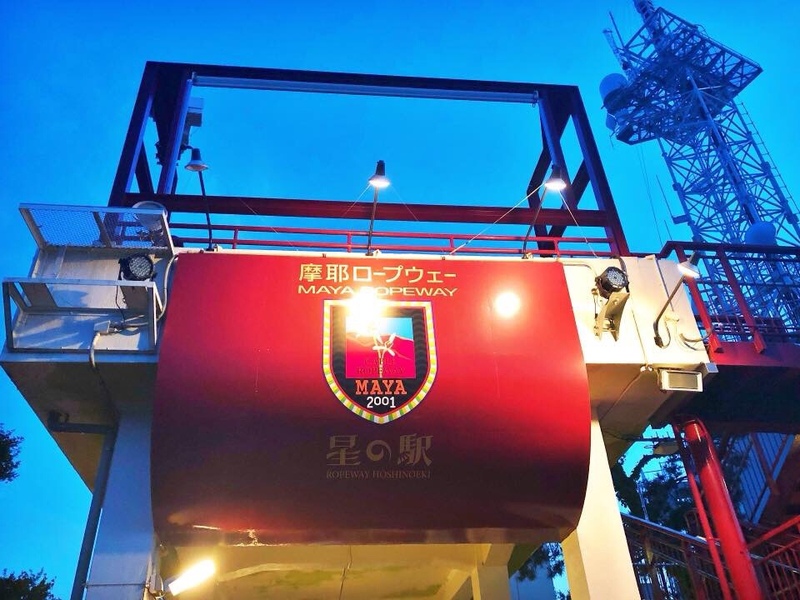 Public Transpo: From the north exit of JR Sannomiya Station, turn left and cross the street as the bus NUMBER 18 bound for Maya Ropeway/Cable Car is parked in the opposite side. No other buses except the #18 service Mt. Maya Cable station. This bus comes once or twice every hour so please plan accordingly. 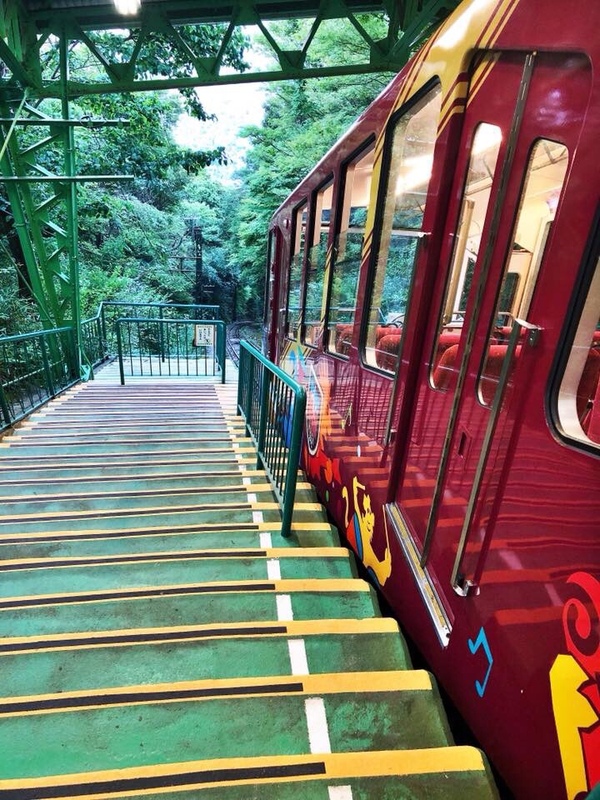 Fare is 210 yen and takes about 20 mins. ACTUAL TIME VISITED: 17:00 – 20:00. 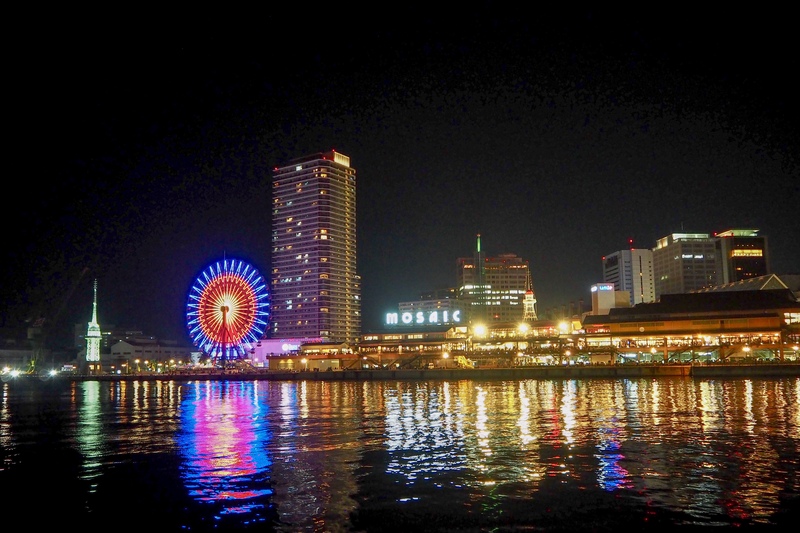 Last on the list but definitely not the least: the Kobe Tower and Kobe Port. 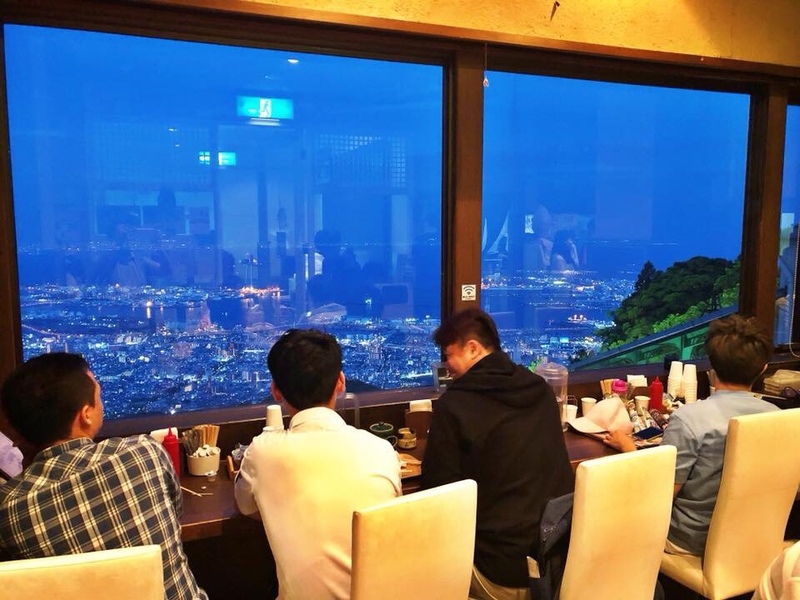 Kobe Tower. 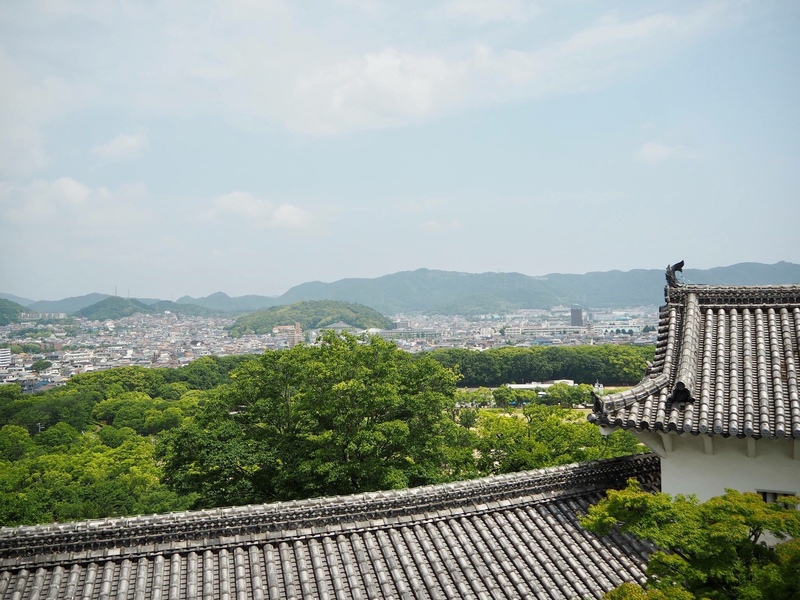 This tower is one of the landmarks in the city of Kobe, the capital of Hyogo Prefecture. This sightseeing tower was completed in 1993 and has a 360 degree expansive panorama of the city on its observation deck. 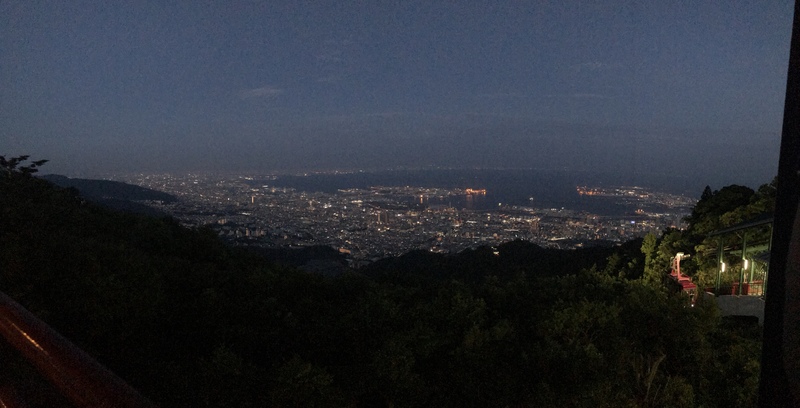 Kobe Port. 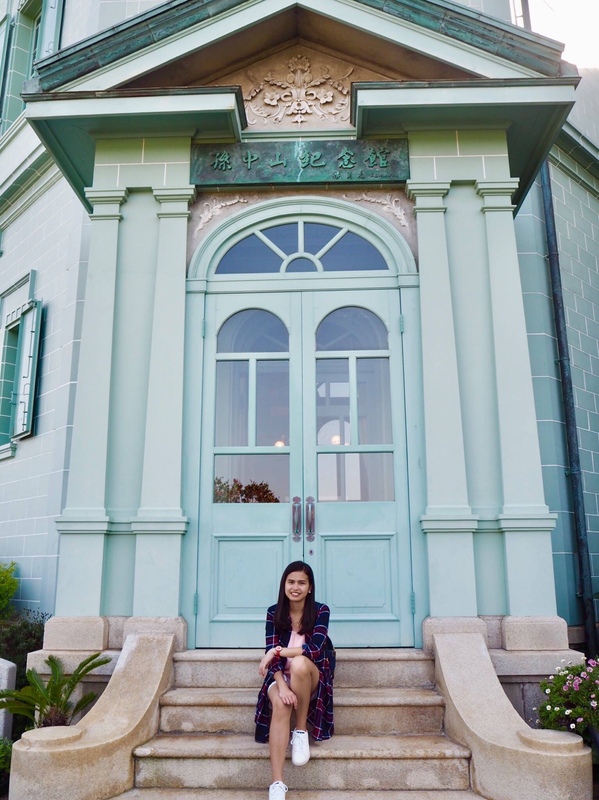 This port was among the first to be opened to foreign trade in 19th century. 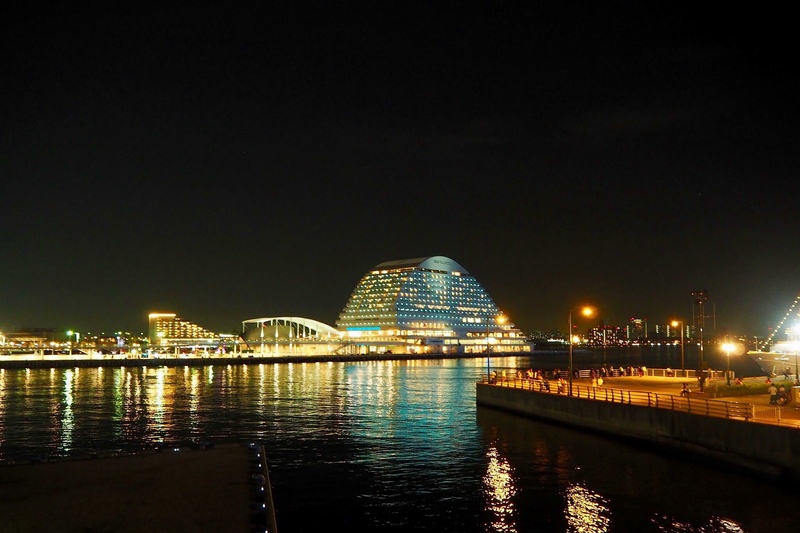 You can enjoy Kobe Harborland if you’re up to shopping and Merikan Park that features the Kobe Port Tower, Kobe Maritime Museum and a memorial to the victims of Hanshin earthquake. 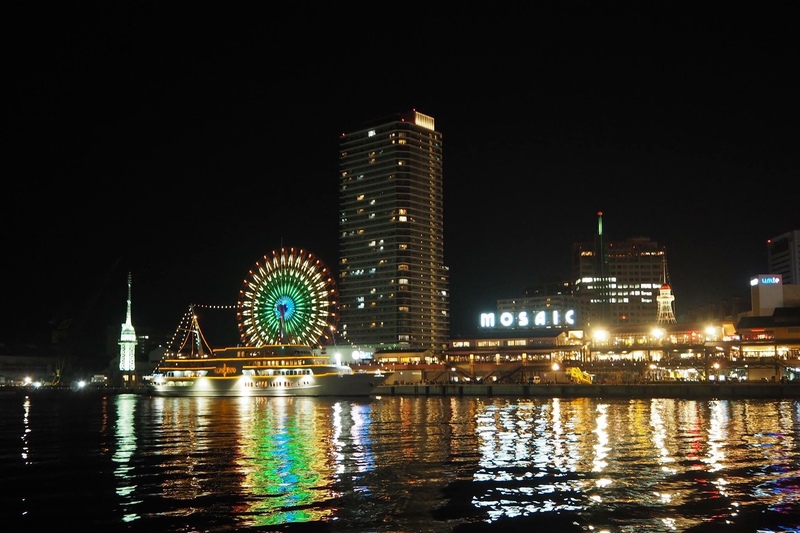 There’s also Kobe Mosaic Mall that offers scenic views of the waterfront. 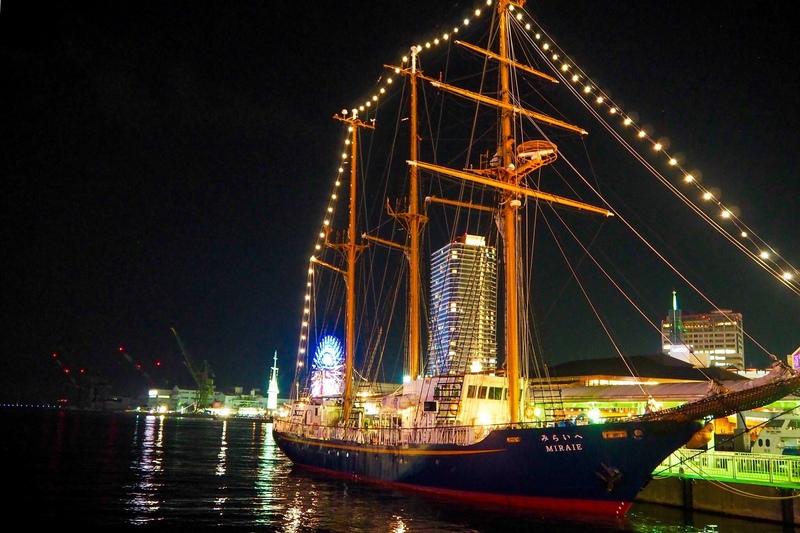 You can dine to different restaurants while watching the ships passing by. Car: Click this LINK. There are paid parkings across the Kobe Port Tower. ACTUAL TIME VISITED: 20:30 to 22:30. We took our dinner at Mosaic Mall.